Valutata dagli ospiti dopo il soggiorno presso King's Blue , Port View Apartment. The owner was very helpful and nothing was too much trouble. He went out of his way to ensure we had a happy stay. Nice view (attached photo from the balcony), fresh interesting and stylish renovation, good kitchen, two bedrooms, balcony. Located in the heart of the city, around of the apartments all the sights and the best restaurants. Good host, nice bonuses :) Good Wi-Fi. 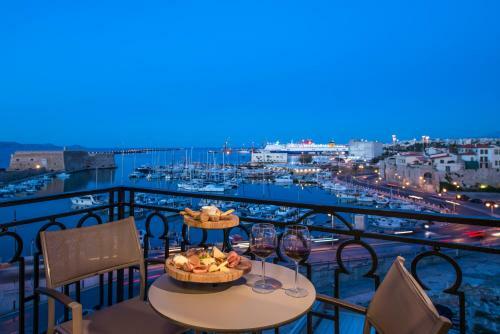 Stunning location with the best possible view of the old Venetian port castle from the cosy apartment 2nd floor balcony. 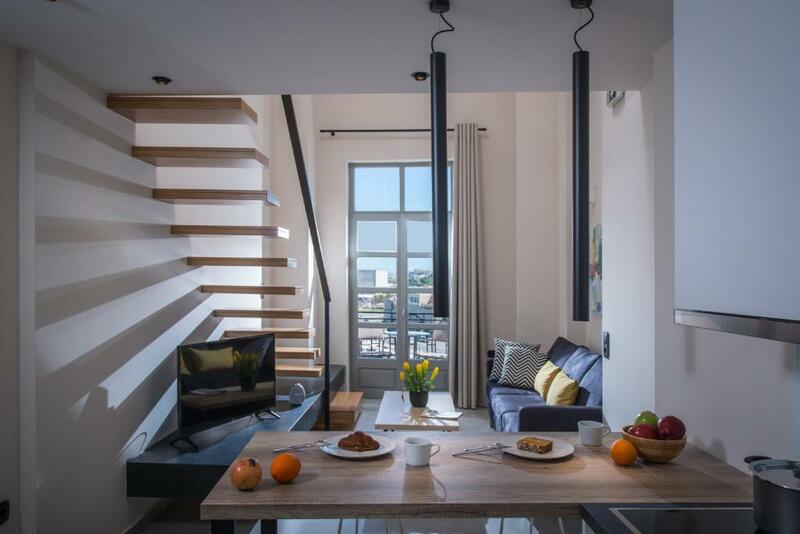 This apartment is literally 30 seconds walk from the main Heraklion pedestrianised street, where there are various bars, restaurants and all the main visitor sights. If you want one of two nights in Heraklion and a clean, well designed/ modern apartment as a base for a couple/family, this is perfect. 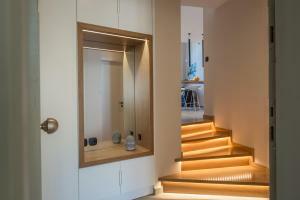 Newly renovated slick apartment with nice facilities. English speaking, super helpful owner who was totally reliable and punctual on arrival/exit. Can totally recommend this as a place to stay. Central location with beautiful harbour views on private balcony. 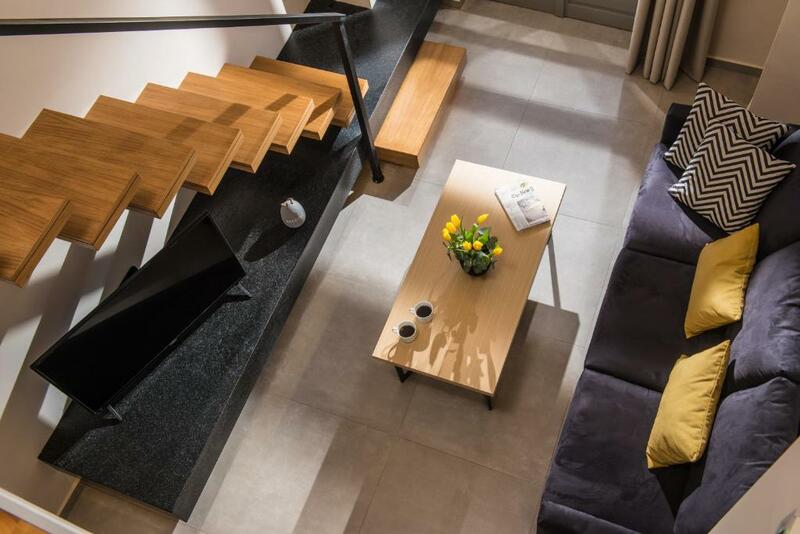 Modern, comfortable interior with personal touches (Raki, cookies and juice on arrival). Transport to the port on the morning of our departure allowing for a hassle free trip! Would stay again! The flat was freshly refurbished. Was excellent and clean. Excellent view of the castle and port. Situated in the centre!!! Assicurati un ottimo prezzo per King's Blue , Port View Apartment, valutato di recente dagli ospiti con un punteggio di 9,8. 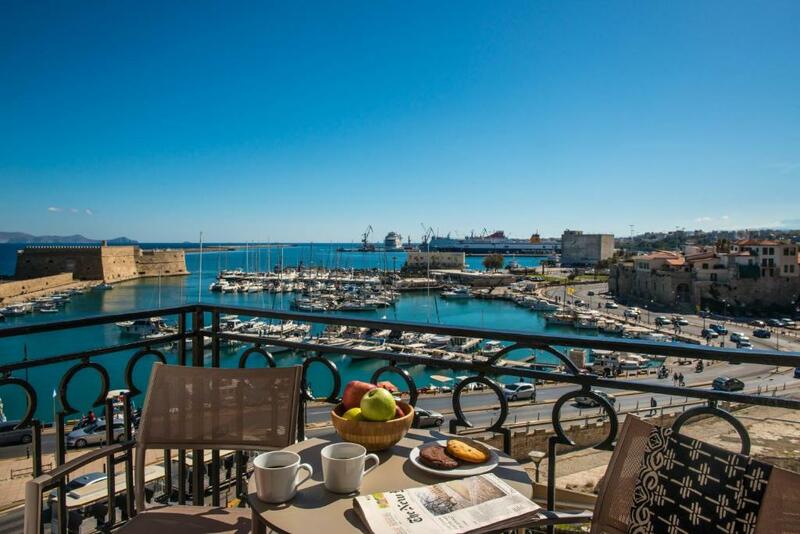 Situato nel centro di Heraklion, a soli 1,3 km dal Museo Archeologico e a 1,7 km dalle Mura Veneziane, il King's Blue, Port View Apartment offre una vista sul mare e la connessione WiFi gratuita. Dotato di un parcheggio privato, l'appartamento dista 1,8 km dal Museo Civico della Battaglia di Creta e della Resistenza Nazionale. 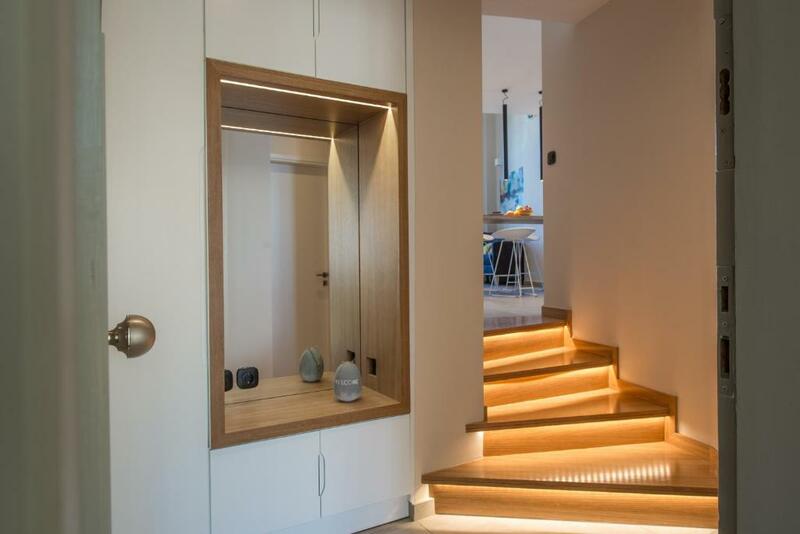 Dotato di accesso diretto a un balcone, l'appartamento dispone di aria condizionata, 2 camere da letto, cucina completamente attrezzata. A vostra disposizione una TV a schermo piatto. Il King's Blue, Port View Apartment dista 6 km dal Palazzo minoico di Cnosso e 600 m da Koules. 4,4 km dall'Aeroporto Internazionale di Heraklion, lo scalo più vicino. Questa zona di Heraklion è una delle preferite dai nostri ospiti, in base alle recensioni indipendenti. Questa struttura si trova anche in una posizione valutata tra le migliori a Heraklion! Agli ospiti piace di più rispetto a quella delle altre strutture. 뀐 Situata nel vero cuore di Heraklion, questa struttura ha un ottimo punteggio per la posizione: 9,9! Quando vuoi soggiornare presso King's Blue , Port View Apartment? Appartamento climatizzato con piano cottura e forno. Parcheggio privato disponibile in zona senza prenotazione al costo di 4 EUR al giorno . 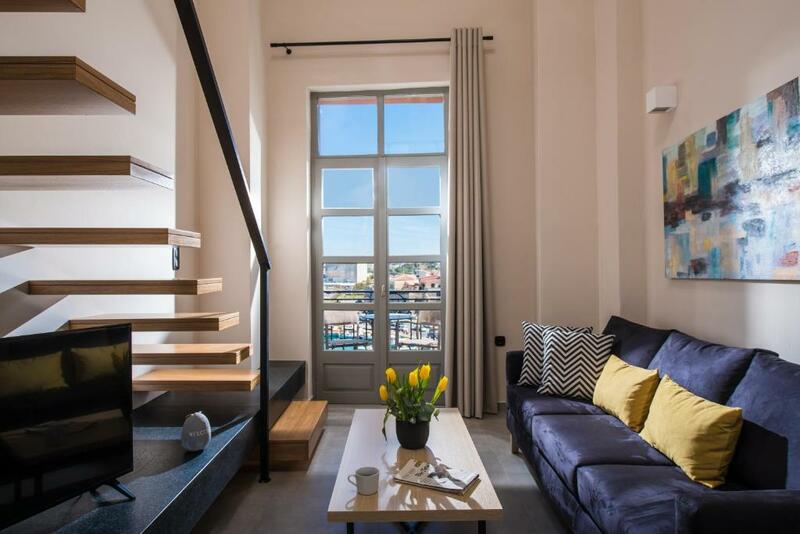 This property is housed in one of the most characteristic buildings of city and its main advantage is the private balcony where you can relax by enjoying the view of the Venetian Castle , the old Harbor and the Cretan Sea. The apartment high end inspiring design , high quality equipment and with attention to detail delivers to the visitor a custom-made experience . 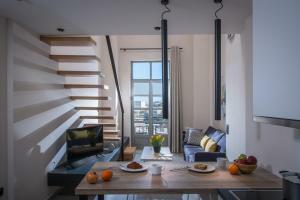 Offers luxury accomodation to quests who seek to explore the city from a privileged spot. This property is at the beginning of the famous 25 August pedestrian street , through which the old harbor is directly connected with the historical center . It is surrounded by the business , cultural and shopping heart of the city . Nearby attractios include , the Venetian Fortress , the Archaeological museum , the four Lions Square and the Venetian Loggia . Leggi prima di prenotare King's Blue , Port View Apartment accetta le richieste speciali. Aggiungile nel prossimo passaggio! Siete pregati di comunicare in anticipo a King's Blue , Port View Apartment l'orario in cui prevedete di arrivare. Potrete inserire questa informazione nella sezione Richieste Speciali al momento della prenotazione, o contattare la struttura utilizzando i recapiti riportati nella conferma della prenotazione.